For the purposes of this site, when brandy is specified in a drink recipe, we mean a dry, aged brandy such as Cognac, Armagnac, Brandy de Jerez, or any other quality German or California grape brandy. Brandy is a distilled spirit made from wine and often aged in oak barrels. Brandy as we generally recognize it is distilled from grape wine. A brandy can also be distilled from a fruit wine, but then it is usually called an eau de vie. The finished product is usually around 80 proof, but can also be bottled at a much higher proof. You will also see fruit-based "brandy" at the liquor store such as apricot or cherry brandy. These are in almost all cases really fruit flavored liqueurs. They maybe use a brandy base spirit but often they do not. The word brandy comes from the term brandywine which means burnt wine. I used to use basic French or American grape brandies in my cocktails. My progression was Christian Brothers, Raynal VSOP, and then graduating to low end Cognacs such as Salignac VS, Landy VS, or Ansac VS. While I was sticking to high quality gin, rye, bourbon, Scotch, and vermouth, I didn't have the same mindset about the brandy I was using. 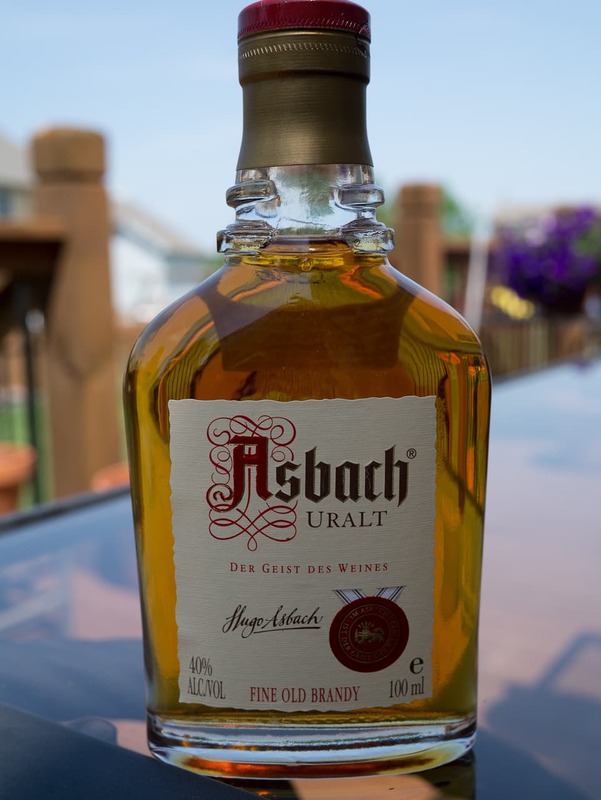 After experimenting with Brandy Crustas and Sidecars, I have since moved to good VS level Cognacs such as Alize VS, Deau Artisan VS or even the very nice Camus VS or Asbach Uralt German brandy. These higher quality brandies have made a stark difference in my cocktails and punches and I'm willing to pay the extra money now for these brandies. You can get into the VSOP level for Cognac or equivalent brandies for your cocktails and punches (in fact David Wondrich specifies VSOP Cognac in some of the punch recipes in Punch: The Delights (and Dangers) of the Flowing Bowl). But I have found in most cases the VS spirit is quite sufficient. If you'd like, please give us some examples of your favorite brandies below.